LG has announced a new cheap, budget-oriented smartphone called K5. The device is destined to serve people who do not want to spend too much on a handset simply because it does not offer that much in terms of hardware power and specs. Even then the new K5 offers a large 5-inch display but the resolution disappoints – the display works at just 854 x 480 pixels. Inside the smartphone has an unnamed quad-core processor that runs at 1.3 GHz (likely MediaTek MT6735), 1 GB of RAM and 8 GB of internal memory that can be expanded through the provided microSD card slot. Furthermore the smartphone features a 5 MP rear camera, a 2 MP front one, Android 5.1 Lollipop and a 1900 mAh battery. The smartphone, which measures 145 x 71.6 x 8.9 mm, is available in gray, gold and silver colors. No word on pricing as of now but given the tech specs we strongly suspect that the K5 won’t be expensive. 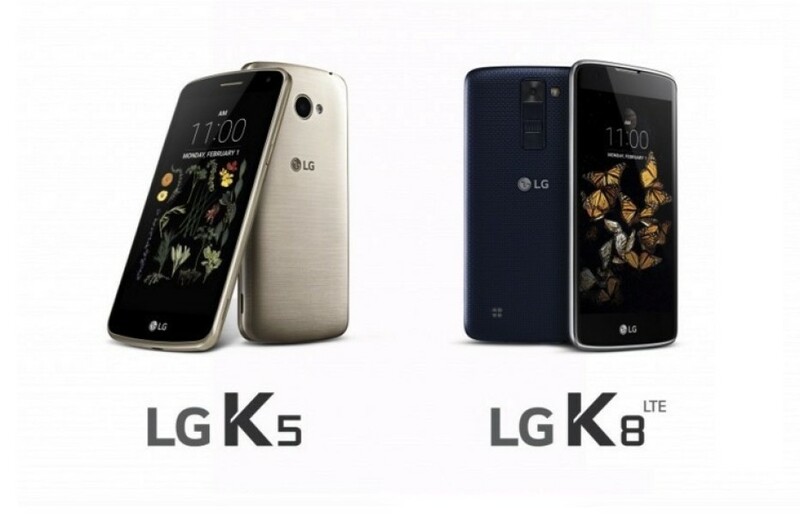 Along with the K5, LG has presented the K8 smartphone, which is definitely more powerful. The device comes with a 2.5D 5-inch display at 1280 x 720 pixels and includes a MediaTek MT6735 processor, 1.5 GB of RAM, 8 GB of internal memory that can be expanded with a microSD card, 8 MP and 5 MP rear/front cameras, Android 6.0 Marshmallow and a 2125 mAh battery. The handset measures 144.6 x 71.5 x 8.7 mm and weighs 157 grams but just like in the case of the K5, here the price is also unknown.